Dear readers: The following article is a guest-written post about a place I’ve been to and loved — Málaga, Spain. Since you know I have this terrible habit of quitting my “real” jobs, this post is an example of a way I am monetizing this blog without introducing a bunch of pop-up videos and floating ads and all of that. When a post is guest-written, I will always let you know in the title, and I will do my best to make sure the post is interesting and informative. I think this one definitely fits the bill. 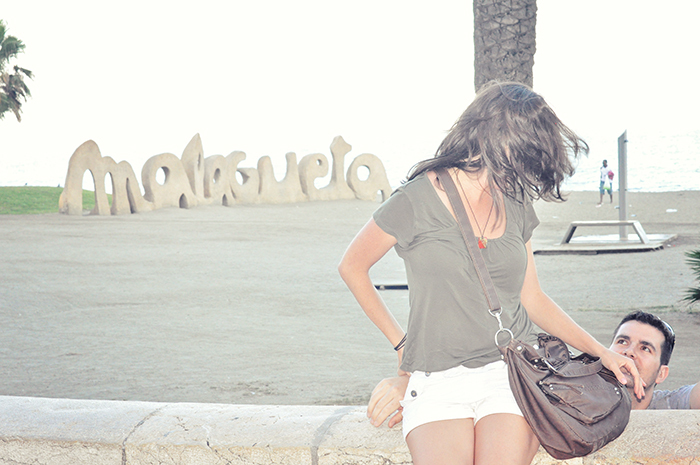 I took all of the following photos on our trip to Malaga, with the exception of the one that I’m actually in. Obviously. Malaga is a beautiful city. If you ever get the chance to go “off the beaten path” in Spain, I’d recommend a stop. Enjoy! Located in the southern region of Andalucía, Málaga is a city designed for those who want beaches, cultural landmarks and museums, all rolled into one. The city and the province of Malaga have access to both the Atlantic coast and the Mediterranean coast. Many of the city’s museums are located near the city center, the Old Town. One of the main museums is the Pablo Picasso Museum, dedicated to this famous painter, who was born in the city. There are many paintings and sketches authored by Picasso in this museum. Other museums that can be found in the city include the Heritage Museum, the Fine Arts Museum, the Holy Week Museum and the Wine Museum. In the Interactive Museum of Music visitors will be able to see around 300 musical instruments, and the museums organizes concerts. La Malagueta beach is one of the city’s main beaches. Near the city’s main marina visitors will find a smaller beach, Playa Palo, where they can enjoy diving and sailing. There are many cleaner and less crowded beaches in the province, including those located in the touristy Benalmadena and Fuengirola, posh Marbella and traditional Nerja. Most beaches have lounge chairs available for rent and some offer water activities. The Alcazaba is one of the city’s main landmarks. This building used to be a palace. The Archaeological Museum is located in the palace. There are many gardens adorned with tiles and fountains where visitors can enjoy a walk. Near the Alcazaba visitors will find the ruins of an ancient Roman theater. A short distance away visitors will find the Gibralfaro Castle, another ancient castle. It was built on the remains of a Phoenician palace and a fortress. 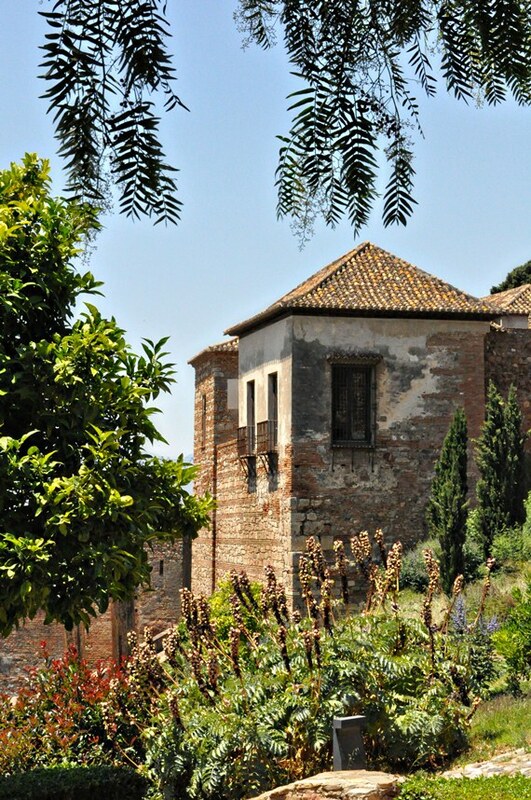 Two of the castle’s towers are connected to the Alcazaba, which is why this place is known for its views towards the city and the sea. The Cathedral, located near the María Zambrano AVE train station, is another of the city’s largest monuments. 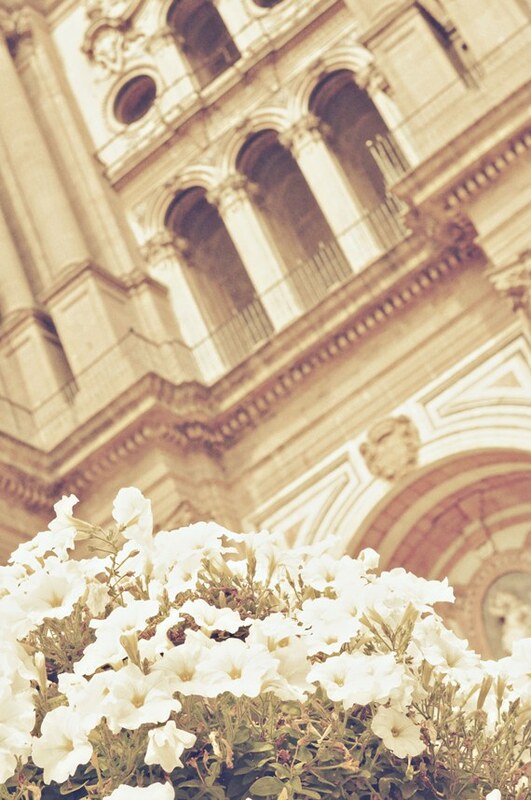 There are several chapels and a choir stall that are decorated with masterpieces. The Cathedral square has several terrazas where visitors can enjoy a sangria with views towards the Cathedral. 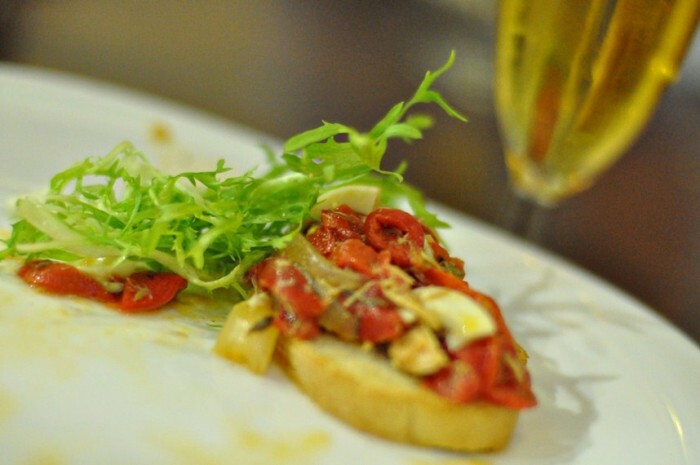 Local tapas bars and terrazas serve traditional food, and the more touristy places tend to stick to pub grub and to dishes that come from other regions, including Valencian paella. Local tapas include pescaito frito fried fish and Andalusian dishes, ranging from traditional bread drizzled with olive oil and covered in fresh tomato paste to gazpacho andaluz. In the small town of Ronda visitors will be able to visit the ancient bullring, which is one of the main bullrings in the country. In the nearby city of Nerja visitors will be able to tour the caves. The Balcón de Europa is a large tiled observation platform located in the city, and is known for its views towards the sea. Nearby visitors will find the traditional town of Mijas, located in the hills. Mijas is one of the historic pueblos blancos, white villages with white houses, tiled courtyards and stone plazas decorated with bright flowers and plants. Farther down the coast is Marbella, a city for the famous, with chic seaside cafés, expensive boutique stores and a marina filled with boats and yachts. Take me there now por fa! Let’s GO! And while we’re at it, can we head to Portugal, too? You went to Spain too? No way?! Just kidding. 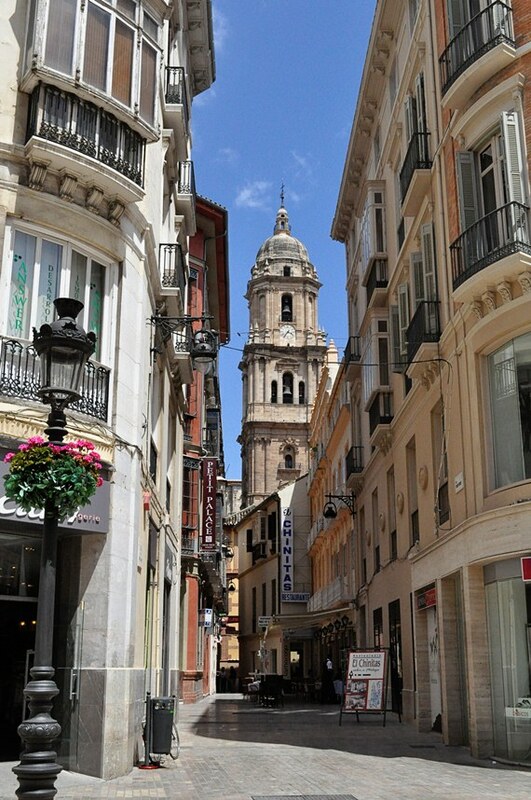 I think my favorite part of Málaga was wandering the streets near the cathedral/Picasso museum. The tiny streets with all the different shops along them and balconies/terraces with flowers in full bloom. That, and the olive oil. The Spanish olive oil was amazing. I bought a couple of bottles while we were there. Oleum Viride organic extra virgin olive oil was purchased in a little olive oil shop in Ronda, right across the Puente Nuevo. The other was purchased at the Alhambra and I believe it was an Alhambra branded version of LA Organic Original “Suave” EVOO. I’d check, but I am pretty sure that someone stole the bottle from me. Still not happy about that. Aww, bummer. I have only recently turned into an olive oil semi-snob, when my sister and I wandered into an oil and vinegar tasting room on a trip to Southern Pines a year or so ago. We ate lunch at a Greek restaurant where the dipping oil was imported from the family’s own olive grove in Greece. I bought a bottle of theirs, and have since at least been buying decent stuff from Trader Joe’s (though nothing as good as the one from the Greek restaurant and certainly not as good as the bottles you bought in Malaga! ).